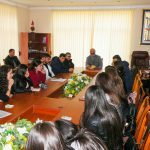 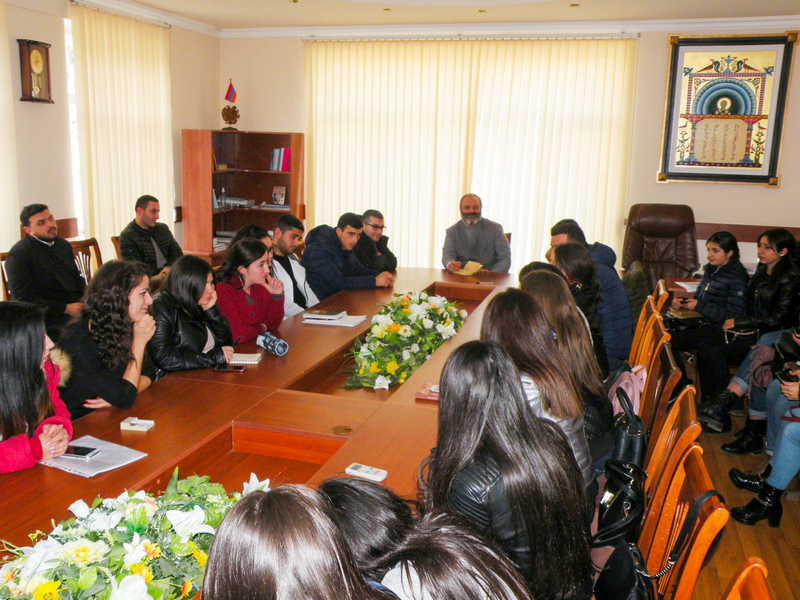 On November 29th,2018, YSU Ijevan Branch hosted a meeting with the Primate of Tavush Diocese Bagrat Galstanyan. 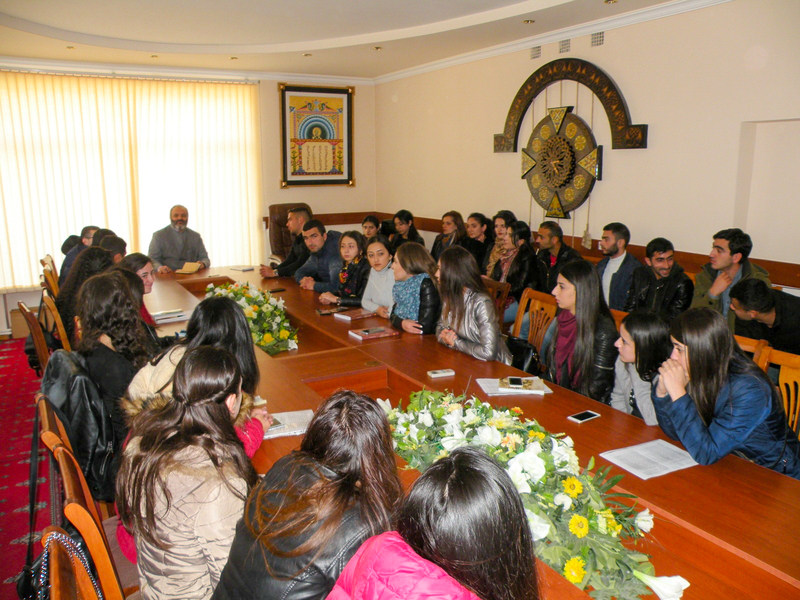 On the initiative of YSUIB students, 15 community groups have been formed on a voluntary basis, with the purpose of helping them to speak up the needs of communities, developing projects, organizing interesting and motivating trainings. 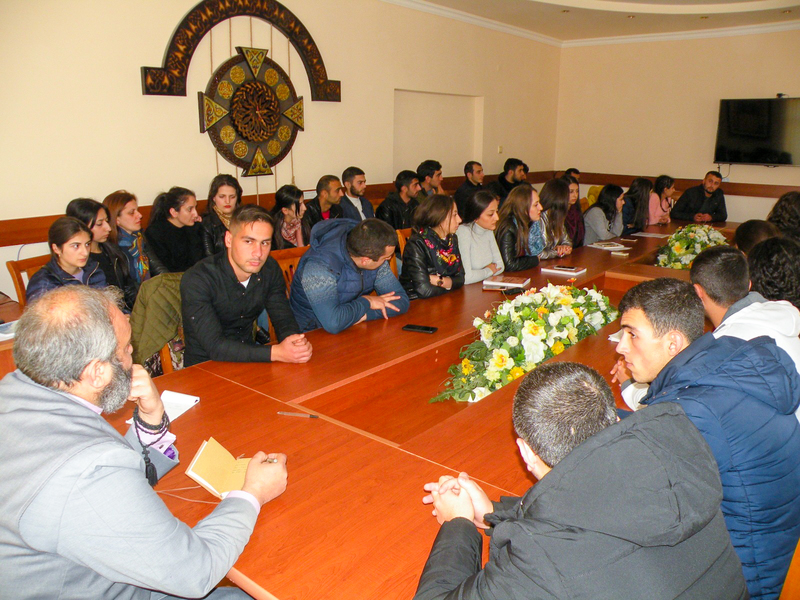 The purpose of the meeting was to get acquainted with community groups: their opinions, their ideas,and find solutions to implement them. 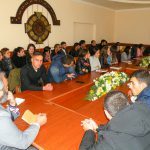 Several community groups already had plans for the upcoming holidays. 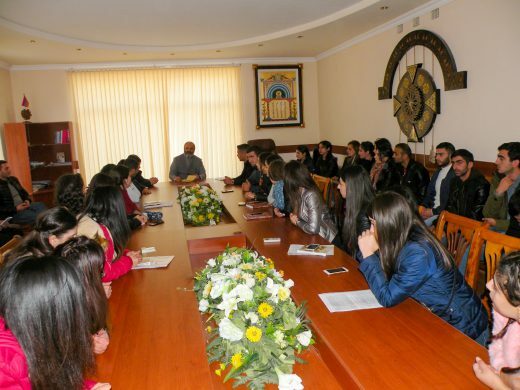 The Primate of Tavush Diocese Bishop Bagrat Galstanyan expressed his readiness to support the students and signed bilateral cooperation agreement.